Located at a distance of 10kms away from Ranikhet is the renowned Chaubatia Gardens that are appreciated for their apple orchards. Apples, Peaches, Apricots and various alpine fruits of Chaubatia Gardens are famous far and wide. Apart from the fruits, Ranikhet is also known for its fresh juices and honey that are reared in Chaubatia gardens. Furthermore, the place offers picturesque views to snow laden Himalayan ranges that make this place the first choice of tourists arriving here. The golf course located at Ranikhet is the highest golf course of Asia and is situated at a distance of 5kms away from Ranikhet city. This Golf Course has a 9-hole course that makes it a center of attraction at the city. The views to Green meadows here at the Golf Course are simply awe-inspiring. Those who love golf and wish to experience it at Ranikhet then membership plans for outsiders are available. It is a famous and one of the oldest Churches at Ranikhet. It was built during the British rule and its designs and architecture seems to be truly influenced by their construction practices. Ashiyana Park is located in the heart of Ranikhet and unfolds beautiful glimpse of nature’s sheen and glory. The park is developed and designed on Jungle theme for children’s fun and play. This is a beautiful temple that is located along side of Nar Singh Maindan which was constructed by the Kumaon regiment. Away from Ranikhet at a distance of 8kms is Tarikhet which is known for Gandhi Kuti and temple of Golu Devta in the Kumaon region. Many people visit here to visit the temple and worship them. The residing deity of this temple is Lord Shiva and located 4kms away from Ranikhet. The temple was constructed by Shri Haidakhan Maharaj who is believed to be the incarnation of Lord Shiva. The temple offers beautiful sights to Himalayan peaks and its sprawling beauty. Situated at distance of 12kms from Ranikhet, Majkhali doles out pleasing views to snow laden Himalayas and is surrounded by lush and dense forests. 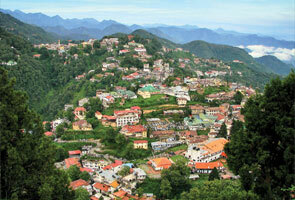 It is indeed a famous tourist spot on the Ranikhet-Almora road and affirms pleasant sights. This temple was built in the 8th Century and is dedicated to Goddess Durga. It is located 7kms away from Ranikhet and it is believed that if anyone truly offers his/her prays at this temple then the Goddess fulfills all the wishes of the devotee. Many devotees tie bells in the temple premises. 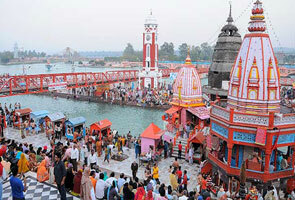 Ram Mandir is located very close to Jhula devi temple and is another most worshipped shrine here. 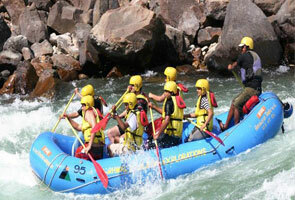 It is a famous picturesque spot that offers impeccable sights of Mother Nature. Located at a distance of 25kms away from Ranikhet, Syalikhet is situated in the midst of lush green forests and apple orchards. 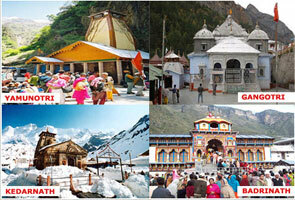 Syali Devi is one of the renowned temples located here. Binsar Mahadev is a famous temple of Lord Shiva that has been widely known for its beautiful architecture and pleasing natural vistas. The temple offers serene ambience to tourists. Most of the travelers prefer spending time here. There is a small stream of water that flows alongside of the temple. The temple is besieged by robust and dense trees of cedar. On the basis of importance, this is the second most significant temple of Ranikhet and is dedicated to Sun of God. First temple of Sun of God is Temple of Konark in Orrissa. Katarmal is more than 800 years old temple and is located at a distance of 25kms from Ranikhet and is known for its beautiful architecture and intricate sculpting. It is an artificial lake that is blessed with rich flora. The lake appears like a pearl and offers splendid views to Mother Nature. There is a small and beautiful garden in the proximity of the dam. Tourists can visit here any time of the year. The views to Himalayan peaks are extremely captivating and enchanting from the dam. Besides, it is famous as ideal spot for picnicking and camping. KRC museum was established in the year 1970 and showcases history of Garhwal and Kumaon regiment. Tourists will find rare glimpses to historical items like Rani Jhasi’s silver scepter, a Japanese wireless phone field telephone during the World War II, Chinese rifles from the 1962 war and some documents related to Kargil war.